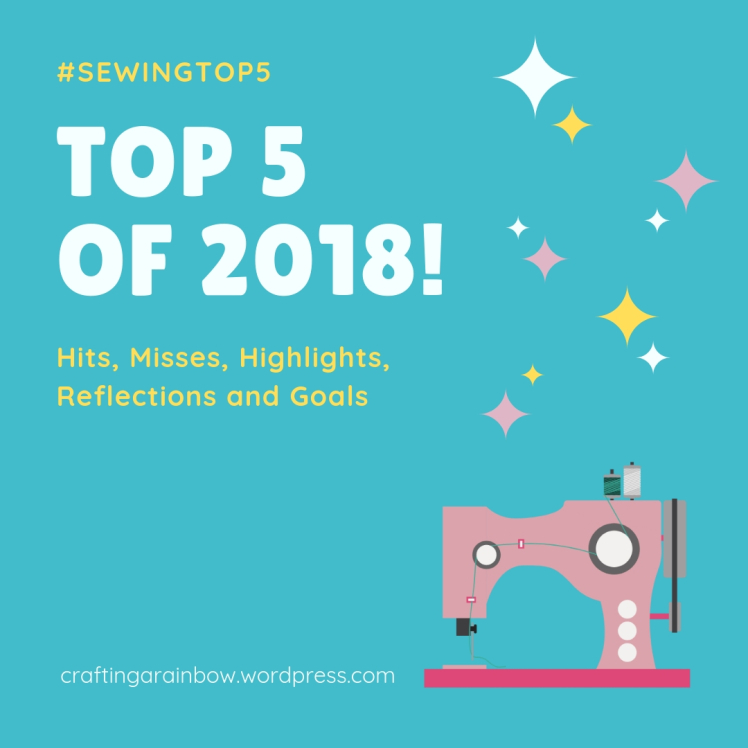 Finishing off this year with some reflections on my sewing journey in 2018, and some goals for 2019. Just like last year and the year before, I have to remind myself that contests and competitions are just not my sewing jam. Unless I'm already making something that will incidentally also fit into a contest theme, they just kill my sewjo. Every time. I put off making the Thing, and then put off starting anything else since the Thing isn't being worked on. Friendly sewalongs or themes, yes -- contests, no, not really! I really didn't blog much this year at all. Perhaps it was because I was quite busy; perhaps because I wasn't sewing all that much, really -- and partly it was just time. Writing good blogs does take time, and I was super busy over at my book blog with many posts this year -- I was spending more time on reading challenges than sewing ones, I think. I have to figure out how to balance things out a little better and take time for myself and my own projects more often! Still haven't tackled menswear, either. In the last year, I've fitted and muslined a waistcoat for my husband. Time to actually make one! In related news, I picked up the Thread Theory Belvedere Waistcoat pattern on Black Friday this year -- actually the only pattern I bought. So time to get stitching. Looking at last year's stated goals, I've met some of them. 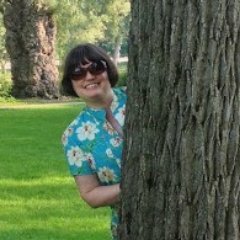 I joined 2 sewalongs on PatternReview -- the 50 Yard Dash, which was super inspiring (I sewed up 51 yards - well, actually, meters - this year) and the Dress a Month, which was mainly a success. While I didn't hit every month, I did make 14 dresses in total so that equals out. I haven't reorganized my sewing area nor have I analyzed my personal style. But I've only held on to the first as something I actually want to do. So overall, the year wasn't too bad. I did notice that my sewing output dropped in the fall, along with any other kind of output. I must remember that I get busiest in Sept/Oct workwise, and also that my motivation for much of anything always drops during this time, no matter what I try. Now, for some Goals for 2019! 1. Reduce Stash -- I'm signing up for the 50 Yard Dash Sewalong on PR again; it was really helpful to keep me on track in 2018. This means that I want to sew mainly from stash this year and reduce the piles of fabric in my sewing area. And I also want to reduce my fabric purchasing until I get a handle on the stash. 2. 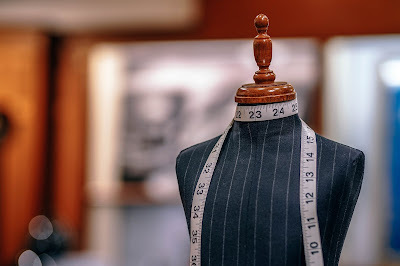 Make some Menswear -- the Sewcialists are having a menswear theme for their February sewalong so perhaps this will give me some extra incentive to get that waistcoat going! If not there is always December's Menswear contest at PR...oh yes, a contest...what did I just say about those? 3. Craftsy Classes -- finish watching them and work through the technique ones. I'd better do this before Craftsy, Bluprint, or whatever they call themselves next decide to take away class access -- one never knows! 4. Textile Art -- spend more time on this and enter a few more shows this year - I have 4 potential shows which are pretty evenly spaced out so this gives me a tentative schedule to work with! And what about you? Do you like setting goals, objectives, or just overarching themes for your year? Do you prefer to freestyle? I'm trying to get a little more organized, a little more focused, in 2019. We will see! I'm not much for goals [other than try to reduce stash and do something about The Crate of Shame], but those stay the same year on year! I do need to stash bust though, I'm beginning to worry that some of the stashed delights could end up in a bin when I pop my clogs, and that would NOT do. I do intend to get a sewing club started at school, for staff and 6th formers, and to be involved in making sanitary kits for 'Days For Girls' another great stash buster and very worthy too. Yes, I am starting to feel a bit stash heavy here. 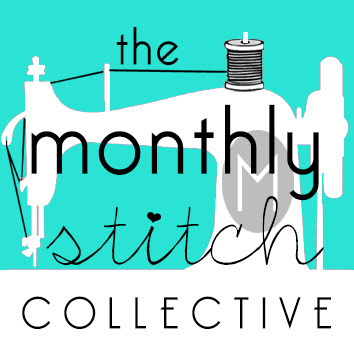 Great idea to start a sewing club! That should be a place to get some fabric used up happily. I've also been looking into Days for Girls as a group I'd like to sew for. Will have to see how it goes this year! Reduce Stash – I have some lovely fabric, and a dream for all of it, but I need to bring these dreams to fruition or use my fabric for totally new projects. So start using my stash. Textile Art – To be more adventurous with embellishment and use of fabric. Don't be scared to try. Learn to pattern draft – I have enrolled in two online classes with Inhousepatternstudios. Alexandra Morgan has an amazing web site, and instruction. She also has many free tutorials. I am very excited about this aspect of sewing. Hopefully it will enable me to not only draft patterns, but better understand fit and how to alter commercial patterns with understanding. 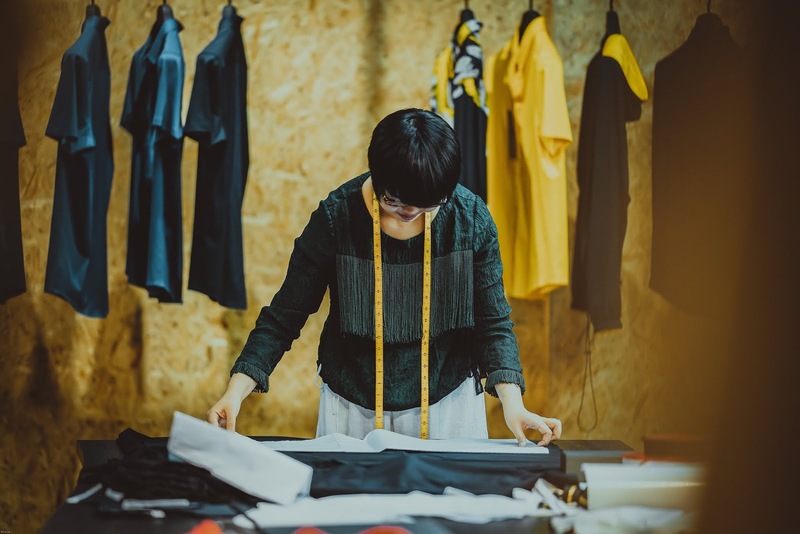 (Melanie – I love the way you always describe your alterations in your blog. It increases awareness of critique of patterns). 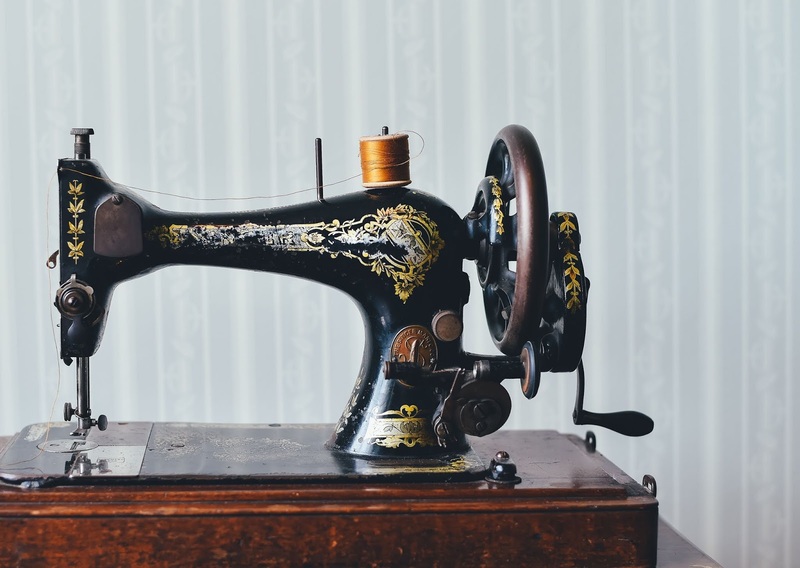 Literary Sewing Circle – I am so pleased this will go ahead in 2019. I love this aspect of the blog world. As an avid reader, I have to say the books for 2018 were all books which I would never have selected, but which I really enjoyed. My crocheted top I was making as part of Dance, Gladys, Dance was a bit of a disaster, and I am unpulling it. I did sew a top for The New Moon's Arms, but just cannot get the hang of what to do with images or how to see other people's work. My IT knowledge is not great, and maybe I need to extend this. (I think this would be two goals, but closely related). My sewing machines – I want to learn to really understand them and be able to get the best from them. To experiment and be fearless. I think that is more than enough to 'focus' on. But I am going to embrace trying to achieve them with enthusiasm, as I am sure I will learn a lot, and be able to share with other sewers. These are great goals! I'd also like to learn more about pattern drafting -- I do like Alexandra Morgan's website but didn't know she had classes. Thanks! Looks like we have many of the same goals for 2019. And I'm so happy that you are enjoying the Literary Sewing Circle! The next book should be fairly easily accessible, I think -- and there will be a new surprise, coming soon... :) Hope you can figure out a way to post photos somewhere online - a blog, Instagram etc. or of course you can email them directly to me and I can post something for you. Hope you will enjoy the next read.